After a full week in Florida our front office is back from Winter Meetings and adjusting to the below freezing temperatures in Ohio. After returning on Friday, General Manager Jordan Taylor, Assistant General Manager of Sales Matt Thompson and Assistant General Manager of Stadium Operations Brad Hooser spent some time catching me up on their adventures. 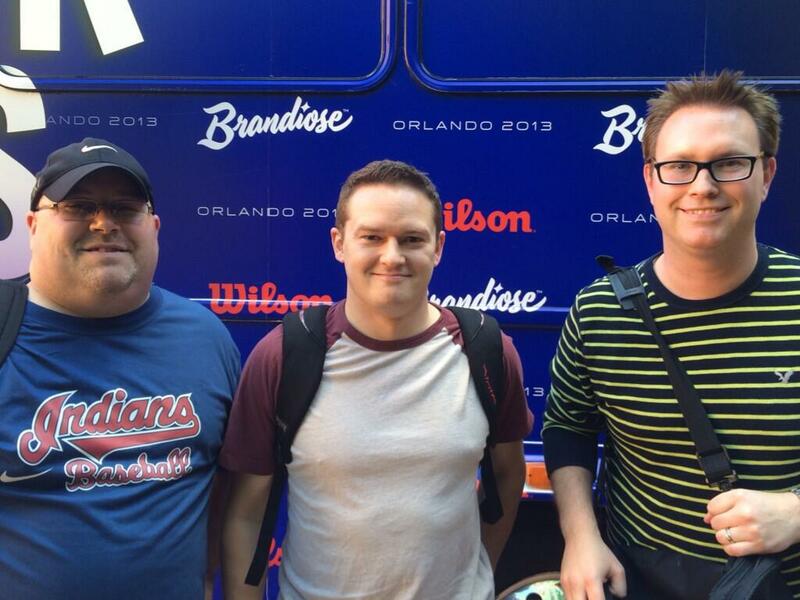 Winter Meetings officially started for the trio when they arrived in Orlando and were picked up at the airport by the Brandiose party bus. For those who are unfamiliar, Brandiose is one of the premier design firms in Minor League Baseball. They have helped design logos for many teams including the Scrappers over the past several years. 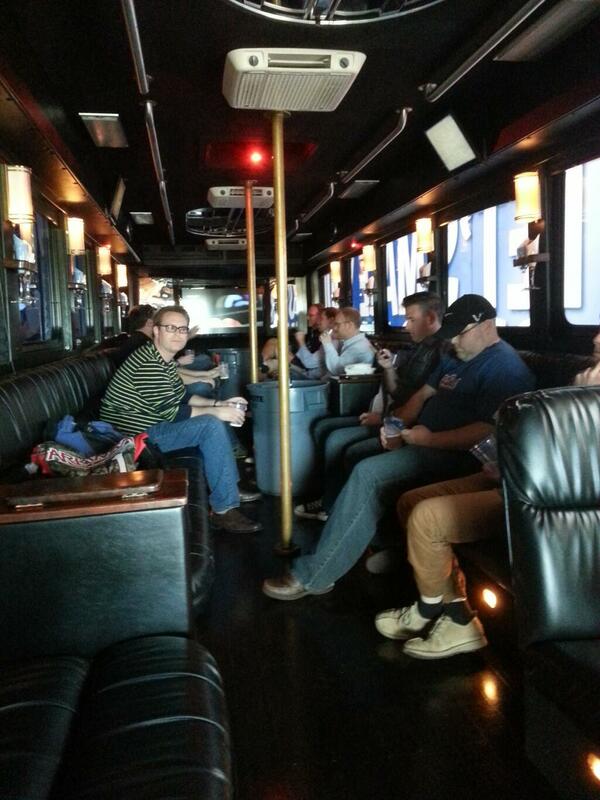 On the bus, the staff got to loosen up and catch-up up with other winter meeting attendees on the way to the hotel. After arriving at the Swan Resort and Hotel in Walt Disney World, the group checked in and got their schedules for the week. The Winter Meetings had over forty different seminars this year in the categories of sales, marketing, web design, operations, merchandising, media, and community relations. Seminars are led by the industries best and are a great way for teams to share their strategies and insight. Some of the seminars our staff attended included “Minor League, MAJOR Marketing Channel”, “Brining Technology Into Your Stadium Operations” and “Creating a Fanatical Food Experience”. In addition to the seminars Jordan, Matt and Brad also attended networking events. 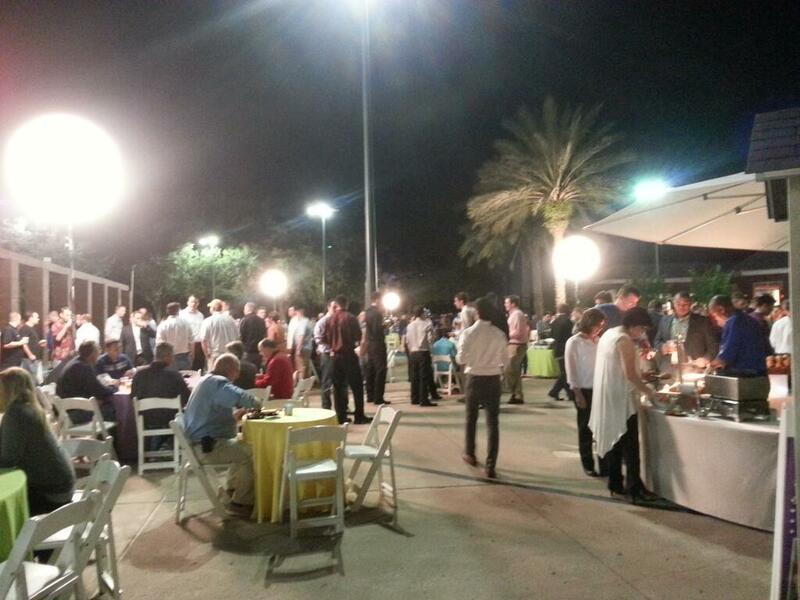 A favorite for many teams is the annual affiliate dinner. The dinner is a chance for staff from Arizona, Mahoning Valley, Lake County, North Carolina, Akron, and Columbus to get together and socialize. Of the six Indians affiliates, four are located in the state of Ohio. This is very unusual for a farm system and for many Minor League teams the affiliate dinner is the only time of the year they get to see the other front offices in person. Though it is not on the official Winter Meetings schedule another highly anticipated event each year is the New York Penn-League Kangaroo Court. Kangaroo Court is a time honored baseball tradition played in almost every Minor League and Major League clubhouse across the country. New York-Penn League execs play each year as well by airing their grievances each December. A front office member will issue a complaint against a team and the group will decide the appropriate fee for the team to pay. Kangaroo Court is a way for the league to poke fun at each other and raise money for the New York-Penn League foundation. Though I am not allowed to disclose any of the charges brought in court this year I can promise it was a fun night for all teams in attendance. In their down time, Jordan, Matt and Brad met up with old friends from different teams and enjoyed their surroundings. I’m told one night Matt performed at a Karaoke Bar (sadly there is no video, I asked). 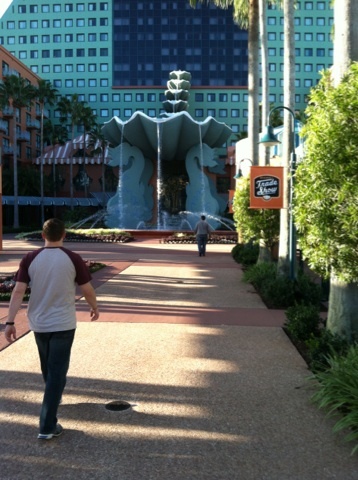 They explored Downtown Disney and also attended the Winter Meetings Gala. Celebrity sightings included Kevin Millar, Chris Rose and Chris Fowler. Jordan can also be spotted on last Thursday night’s Intentional Talk. On their final day the front office met up with 2011 Scrappers intern and current Promotions Manager of the Lake County Captains, Drew LaFollette, and toured the set of the ESPN College Football Awards. Now that the group is back in snowy Ohio, they are more ready then ever to bring new ideas and great fan entertainment to the Mahoning Valley in 2014.